Designed to facilitate the work of destruction of structures of brick, wood and other materials. 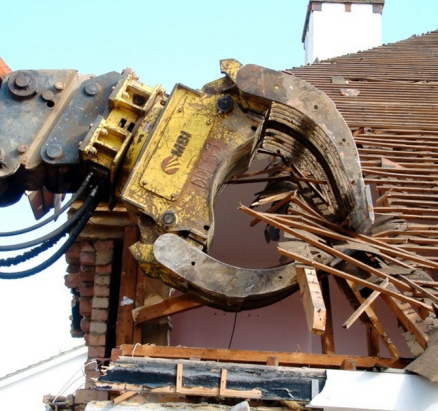 Allows sorting of materials and waste generated during demolition. Can be used on demolition sites, in sorting centers, on building sites, in the forestry and agriculture. Different models to fit on shovels and midi excavators from 5 to 21 tons. With institutions Fradet, find the right model to fit your machine clamp 5 to 21 tons. Contact us for further information. It can work more cleanly, efficiently and with great precision. These qualities make it the ideal equipment for today tomorrow.